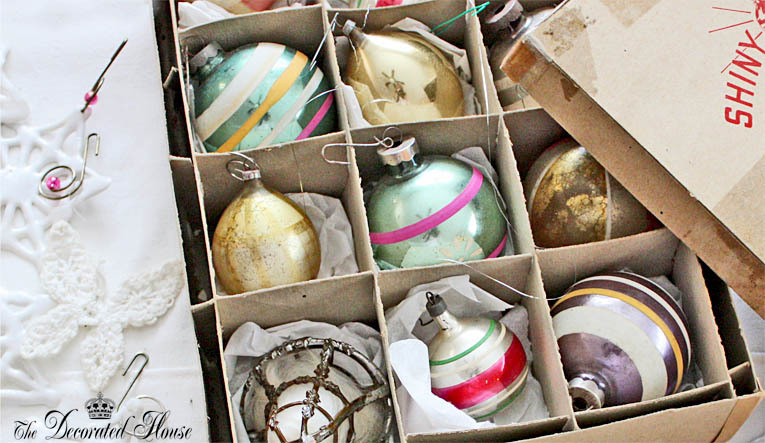 The box says shiny and brite, but it is the dulled and aged patina that makes these old ornaments so interesting. The silver bell in the corner is from another treasure hunt, and it's the only one I've ever found. They all seem kind of special all mixed in with the other ornaments. 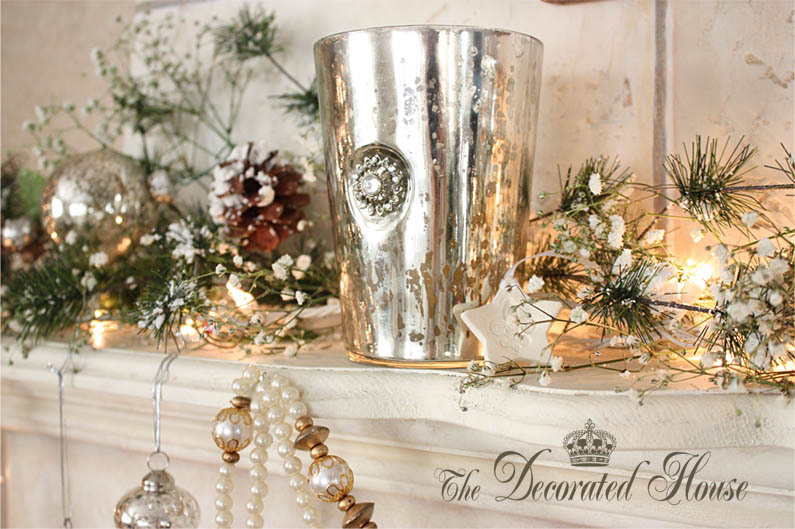 There will still be lots of white along with the shiny and bright of silver, mercury glass and twinkling lights. Cody Bear has been helping me a lot.... opening boxes, taking out things and looking them over before running around the house totally enjoying us running after him. It's taking a bit longer to get the decorating done, but that's OK since we hope he feels like a puppy for many years to come. Your Cody sounds like my Grady kitty always ready to help me with my projects. Your mantle looks lovely. Have a wonderful Christmas! And wonderful bells! I like the patina and that they´re a mix! Lucky you! just add to the treasure. Those are beautiful vintage ornaments. Great condition. I have a few myself. I'd like to find some with similar colors to yours. Mercury glass is beautiful as well.